Security Cabinet to pursue return of missing soldiers and civilians from Gaza - without return bodies of Hamas terrorists. The Security Cabinet met to discuss plans to bring back Israeli soldiers and civilians held captive by the Hamas terrorist organization in the Gaza Strip Sunday, and voted unanimously to adopt a new plan of action to deal with the issue. In addition, the Cabinet decided not to return the bodies of Hamas terrorists who were killed while carrying out terrorist attacks and that the bodies would instead be buried in a cemetery for enemy dead. 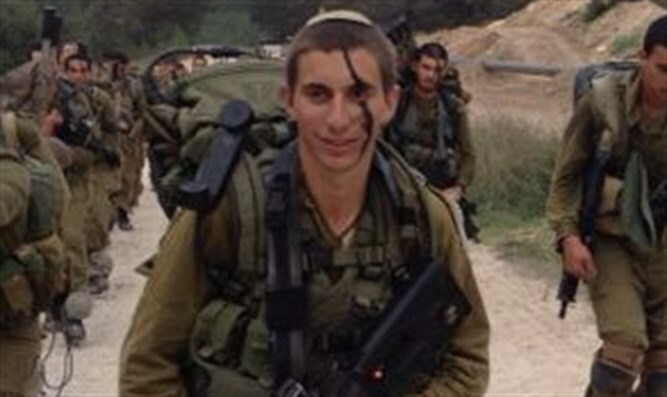 Leah Goldin, the mother of fallen soldier Hadar Goldin, whose body has been held by Hamas since Operation Protective Edge in 2014, criticized Prime Minister Binyamin Netanyhau and Defense Minister Avigdor Liberman Sunday morning for refusing to meet with the Goldin family. "We had one meeting [with Minister Liberman] one month after he came into office. He told us, 'you can talk. I'm not telling you anything.'" she said in an interview on Galey Israel Radio. "These were the responses we received from the Defense Minister who promised that 48 hours after taking office he would eliminate [Hamas leader Ismail] Haniyeh and bring back the soldiers." "However, now I read in the news that he immediately ordered an investigation into the publication of pictures of haredi soldiers. Apparently he knows how to appeal directly to the Public Security Minister, how to appeal directly to the Justice Minister, but for some reason, when it comes to the return of the soldiers...he is a member of the Cabinet and he is 'waiting for the day that the Cabinet meets' and 'today the issue will be raised on the agenda' - he's [just been] making excuses." When asked if she had lost faith in the Defense Minister, Goldin replied: "We had regular meetings with the Prime Minister until about six months ago, until he broke his word. He assured us that our issue is a humanitarian one, and that it would be raised with regard to any agreement for humanitarian aid to Gaza. The return of the soldiers would be a 'precondition.'" She accused the Prime Minister of breaking his word to her family. "Apparently 'business' in Gaza is more important than returning the soldiers."